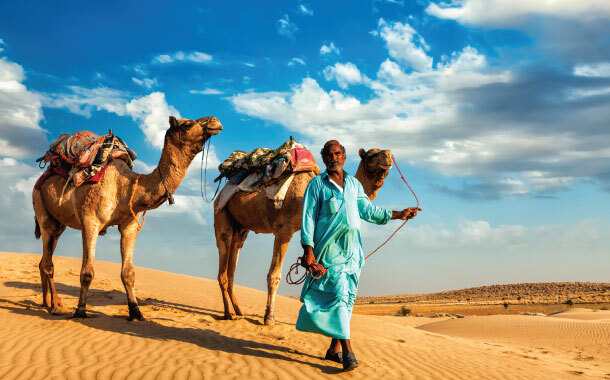 With its vast expanses of sand sea and majestic forts and palaces that overlook shimmering lakes, Rajasthan is a land of regency, hospitality and breathtaking experiences. Formerly known as Rajputana, or the Land of Princes, it's historic landmarks and fortresses are reminiscent of the brave warriors who have earned this state its acclaim. Book your favourite from one of our several Rajasthan tour packages to experience the state's rich cultural heritage. There is more to Rajasthan than the sun and sand let on – the Ranthambore jungle is known as the most reliable place in Asia to spot wild tigers, while the carved marble temples at Mt Abu are a sight for city-weary eyes. 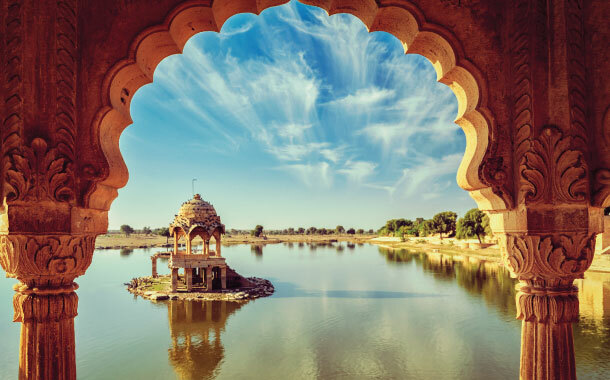 Rajasthan is best described as a land of stark contrasts, where extravagant luxury in the form of India’s best-known palace hotels is just as expected as the quaint villages and old world marketplaces. Our Rajasthan tour packages have been specifically designed to give you an insight into these contrasts. The Lake City of Udaipur is a must visit, as is the majestic Aravali range, which is older than the Himalayas. The camel fair in Pushkar is an experience unlike any other, and sees more than 11,000 camels visit the area for about two weeks. Pushkar was built around a sacred lake, and is revered by locals as a sacred site. Another famous landmark is the blue city of Jodhpur, which is home to the best-preserved fort and largest palace in the country. The desert fort of Jaisalmer is the only fort in India to still be inhabited by villagers, while the exquisitely painted mansions or havelis of Shekhawati have led to this place being called India’s open air art gallery. Don’t miss the small but impressive Keolado Ghana National Park, which has Asia’s largest variety of bird life. Shopping is one of Rajasthan’s most popular attractions as the state has a rich heritage of handicraft – developed over time owing to the indulgent patronage of the Rajput princes. Shop for an array of textiles, jewellery, art, rugs and pottery, available at a variety of price points, depending on where you look and how good your bargaining skills are. 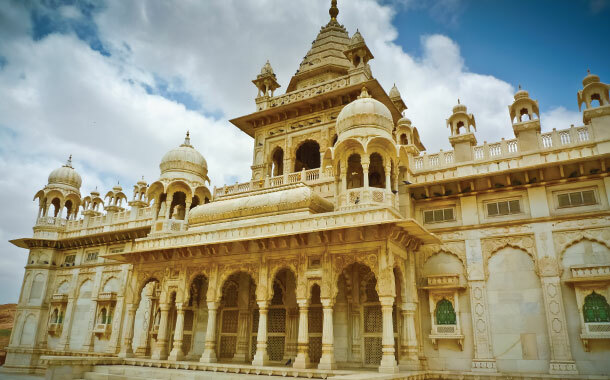 However, Rajasthan’s most popular draw undeniably is being able to live like royalty, in the same premises that once housed eminent kings and queens. Many of the havelis and palaces have been transformed into luxury hotels and are still home to the aristocratic descendants of the properties’ former owners. Before you leave, make sure to capture all of Rajasthan in its old world splendour, on a hot air balloon ride that leads you over some of Rajasthan’s most imposing heritage sites. Rajasthan is a state that allows you to live like royalty, capture the romance of a bygone era and partake in a host of local activities. Whether you’re planning your honeymoon in Rajasthan or eager to set off on a bohemian holiday, make sure to first check out our range of Rajasthan tour packages to find an option that best suits your requirements. Explore the colourful side of Rajasthan. 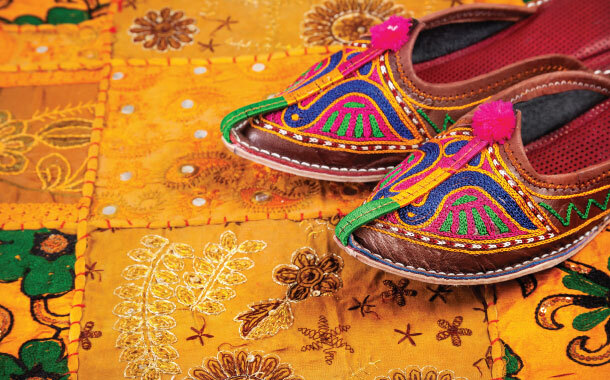 Culturally entrenched Rajasthanis have a swagger that is hard to miss. Colourful attires, vibrant streets, boastful moustaches, uncanny dances and elaborate crafts offer experiences that are unparalleled. 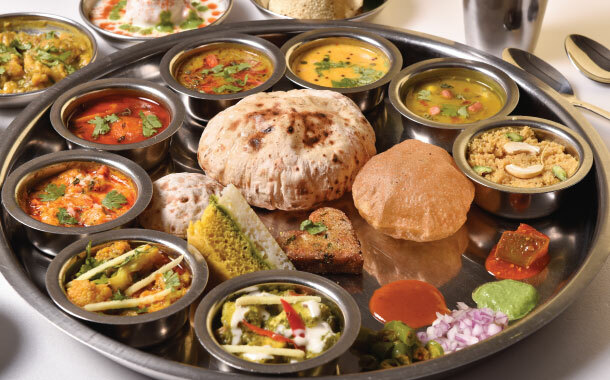 Every corner of Rajasthan offers you a unique taste. Dal bati, laal maas, ker sangri, gatte ki khichdi, kachori, namkeen, mohanthaal, ghevar - the drool list is as long as the province itself. The best time to visit Rajasthan is in the winter season, when the state experiences summer that is relatively less harsh. Considering the ease of travel for tourists, October to March is the time when most of the desert festivals are planned. However, if Mt. Abu is on your mind, then visiting between May and July provides rewarding views of green-dotted hills. Do bear in mind that since Rajasthan is primarily a desert state, it experiences extreme climatic conditions. With hot days and cold nights, you’d have to prepare yourself for both the seasons. Railway: Overnight trains such as the Shatabdi and the Rajdhani connect you from Delhi and Mumbai to Rajasthan’s major cities. Certain, more remote destinations like Jaisalmer will require a second train trip within the state. Else, you can travel like royalty – a week-long luxury train ride through Rajasthan, which lets you explore the best sites while ensconced in the splendour of a bygone era. Road: The Indian metros of Delhi and Mumbai are connected to Rajasthan by way of the National Highway 8. Driving from Delhi to Jaipur is especially enjoyable as the roads are in excellent condition – the drive takes roughly four hours – and the sights are glorious.